Imad Ghfir, Abdallah Achir, Hasnae Guerrouj, Salah Nabih Oueriagli, Omar Ait Sahel, N Benraïs Aouad. Primary mediastinal goitre (PMG) is an ectopic thyroid in a rare location, even more so when associated with an anomaly of the native thyroid gland. It should be considered in the differential diagnosis of all mediastinal masses. <br> We report the case of a 74-year-old woman presenting primary anterior mediastinal goitre with a toxic multinodular goitrous thyroid gland located in the thyroid bed in the anterior neck. <sup>99m</sup>Tc pertechnetate scintigraphy (planar and SPECT/CT) confirmed the uptake of the radiotracer in the mediastinal mass, showing the mass to be separate from the cervical thyroid gland, thus confirming an ectopic PMG. A surgical resection of the cervical multinodular goitre and the intrathoracic mass was performed. Histopathology showed a multinodular adenomatous goitre without signs of malignancy. The patient has had an unremarkable postoperative recovery. <br> <sup>99m</sup>Tc scintigraphy with SPECT-CT imaging seems to be the most important diagnostic tool for the detection of ectopic thyroid tissue and shows the absence or presence of thyroid in its normal location. The technique is not only important for establishing the diagnosis, but crucial in deciding upon the correct therapeutic strategy, including the surgical approach. Imad Ghfir, Abdallah Achir, Hasnae Guerrouj, Salah Nabih Oueriagli, Omar Ait Sahel, N Benra and iumls Aouad. SPECT/CT imaging of primary mediastinal goitre: case report and literature review. Pak J Nucl Med. 2016; 6(1): 53-58. Imad Ghfir, Abdallah Achir, Hasnae Guerrouj, Salah Nabih Oueriagli, Omar Ait Sahel, N Benra and iumls Aouad. SPECT/CT imaging of primary mediastinal goitre: case report and literature review. http://www.pjnmed.com/?mno=284589 [Access: April 22, 2019]. Imad Ghfir, Abdallah Achir, Hasnae Guerrouj, Salah Nabih Oueriagli, Omar Ait Sahel, N Benra and iumls Aouad. SPECT/CT imaging of primary mediastinal goitre: case report and literature review. Pak J Nucl Med. (2016), [cited April 22, 2019]; 6(1): 53-58. Imad Ghfir, Abdallah Achir, Hasnae Guerrouj, Salah Nabih Oueriagli, Omar Ait Sahel, N Benra and iumls Aouad (2016) SPECT/CT imaging of primary mediastinal goitre: case report and literature review. Pak J Nucl Med, 6 (1), 53-58. Imad Ghfir, Abdallah Achir, Hasnae Guerrouj, Salah Nabih Oueriagli, Omar Ait Sahel, N Benra and iumls Aouad. 2016. SPECT/CT imaging of primary mediastinal goitre: case report and literature review. Pakistan Journal of Nuclear Medicine, 6 (1), 53-58. Imad Ghfir, Abdallah Achir, Hasnae Guerrouj, Salah Nabih Oueriagli, Omar Ait Sahel, N Benra and iumls Aouad. "SPECT/CT imaging of primary mediastinal goitre: case report and literature review." Pakistan Journal of Nuclear Medicine 6 (2016), 53-58. Imad Ghfir, Abdallah Achir, Hasnae Guerrouj, Salah Nabih Oueriagli, Omar Ait Sahel, N Benra and iumls Aouad. "SPECT/CT imaging of primary mediastinal goitre: case report and literature review." 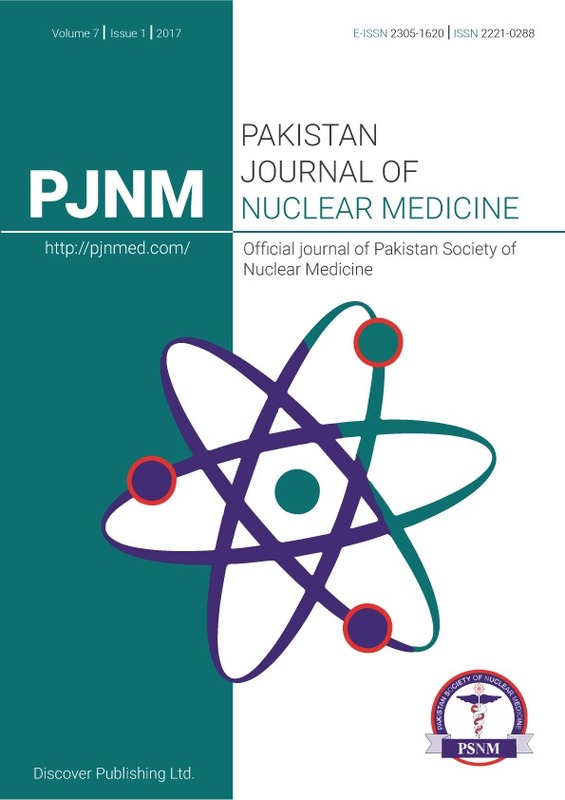 Pakistan Journal of Nuclear Medicine 6.1 (2016), 53-58. Print. Imad Ghfir, Abdallah Achir, Hasnae Guerrouj, Salah Nabih Oueriagli, Omar Ait Sahel, N Benra and iumls Aouad (2016) SPECT/CT imaging of primary mediastinal goitre: case report and literature review. Pakistan Journal of Nuclear Medicine, 6 (1), 53-58.